As more teams in your organization begin to work productively and collaborate using Dynatrace dashboards, the number of dashboards naturally increases, creating the need for a more structured dashboard overview. 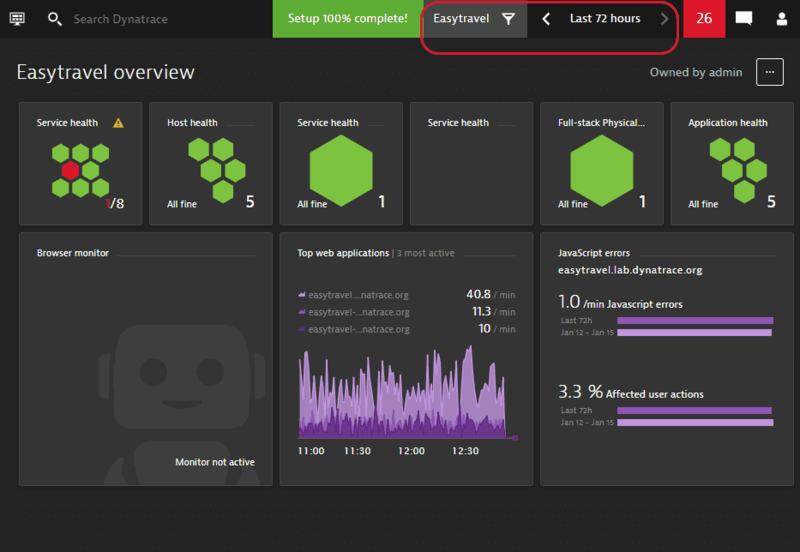 Dynatrace enables you to filter the dashboard overview page based on ownership. 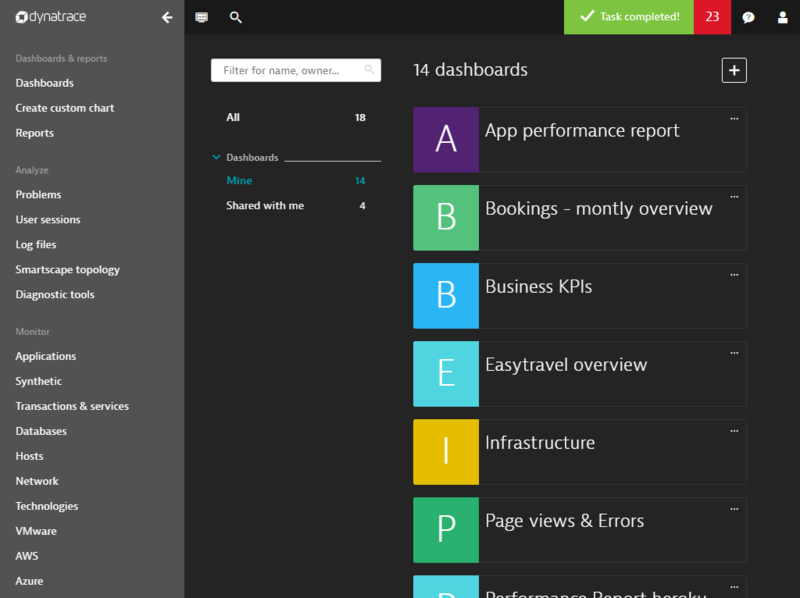 To access the dashboard overview page, click Dashboards in the navigation menu. All: All dashboards that you&apos;ve created plus those dashboards that are shared with all users environment-wide. Mine: All dashboards that you&apos;ve created. Management zones are used to partition monitoring data based on team ownership and responsibility. Dashboard content is automatically filtered whenever a management zone is selected. A dashboard persists the selected management zone and the timeframe. This ensures that whenever the dashboard is viewed in the future, the intended management zone and timeframe that the dashboard was built for will be shown. To ensure security, team members who view a zone-specific dashboard without having the required management zone permissions are presented with a dashboard that has no content. They must select a management zone they have permission to view before data is displayed on the dashboard. To create a dashboard that is only accessible by members of a specific management zone, see Create custom dashboards.